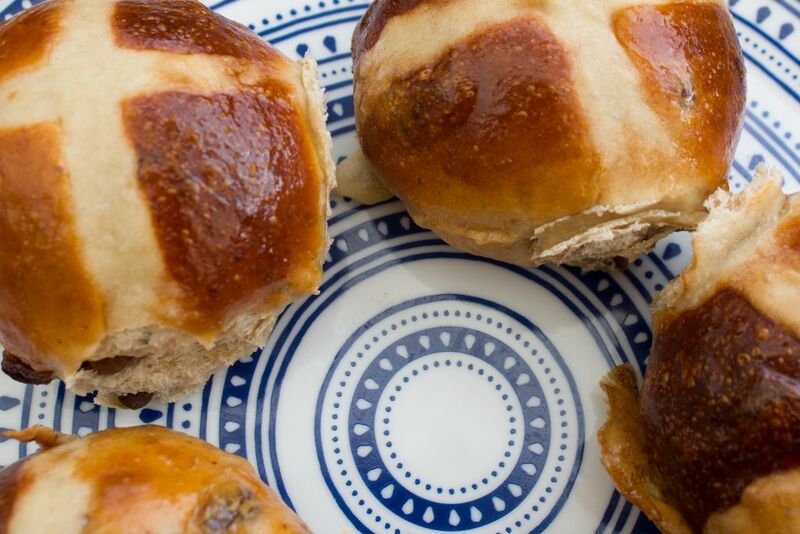 With Easter coming up we had to do a Hot Cross bun recipe and these ones are so easy there’s no reason not to whip up a batch!! 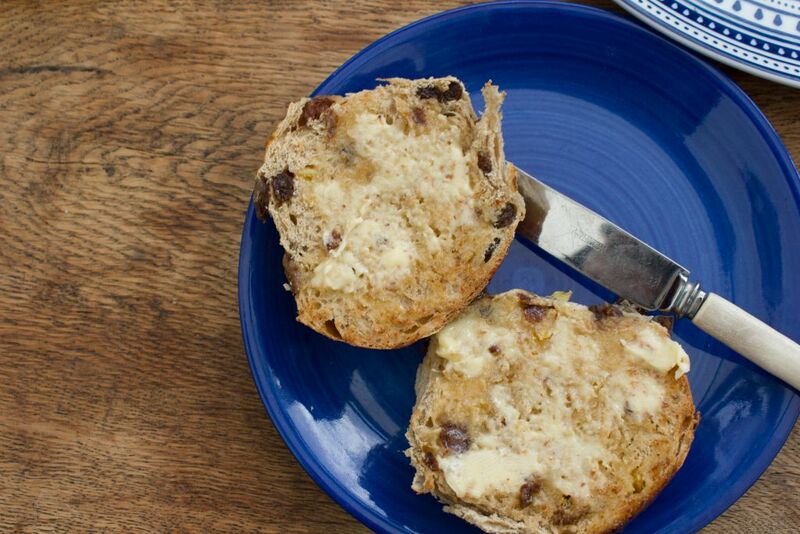 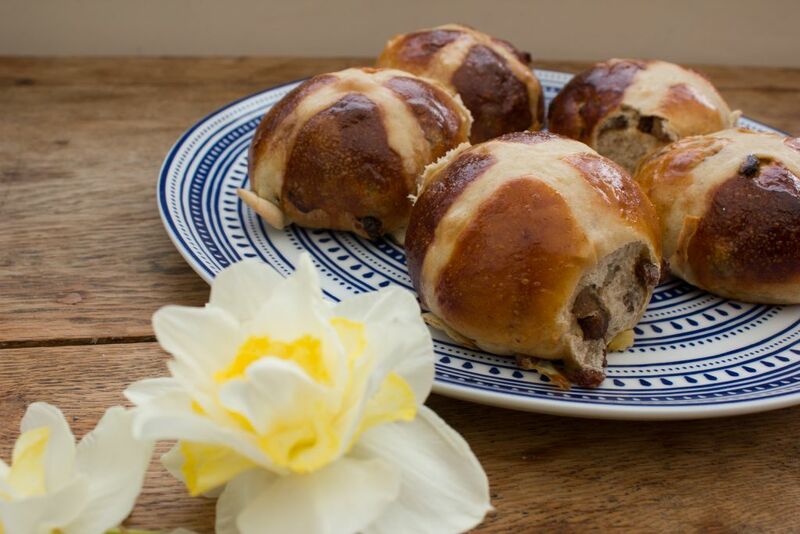 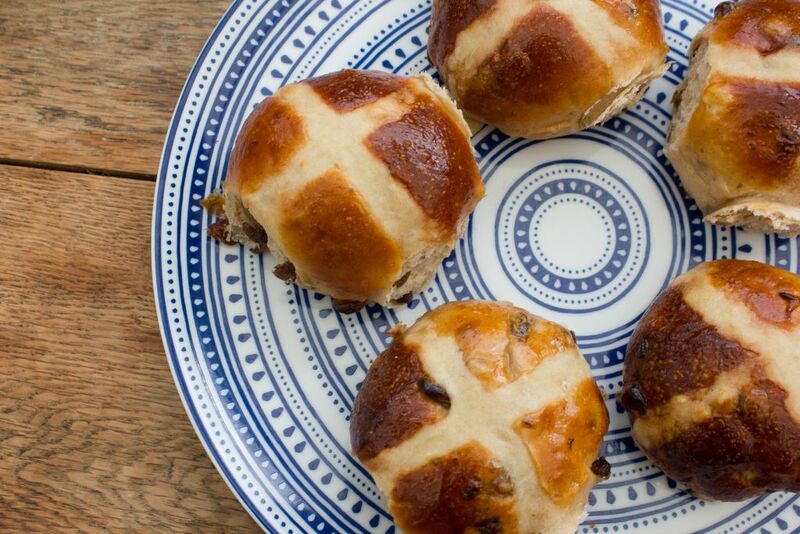 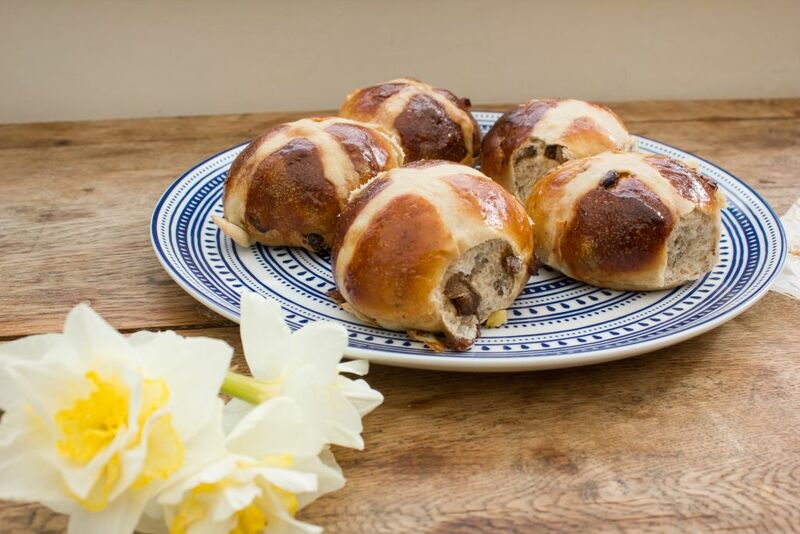 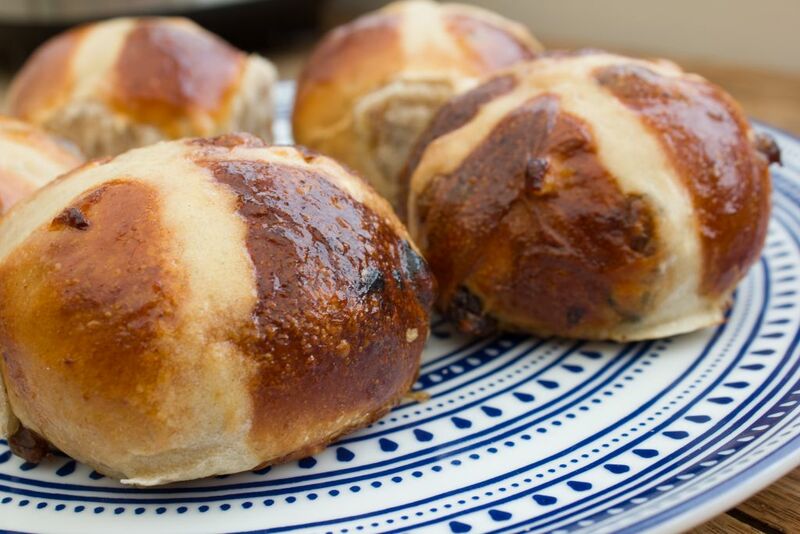 So yes, yes, we did a traditional hot cross bun recipe last year. 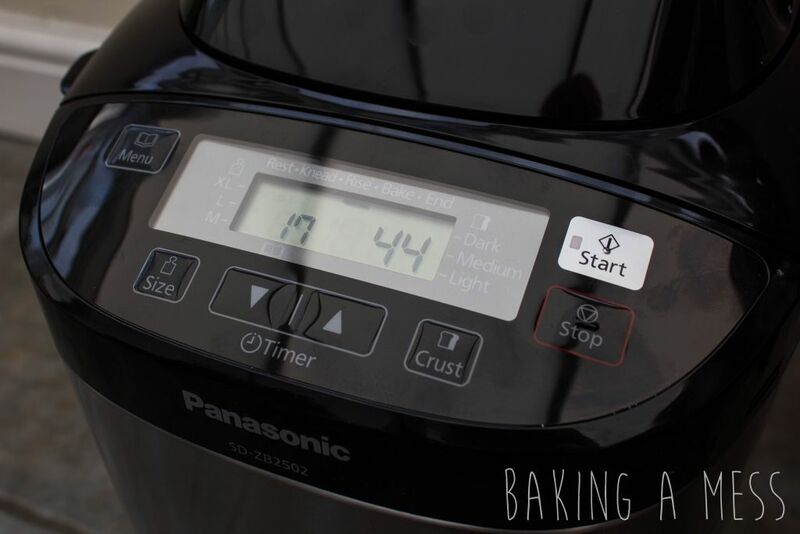 But when we got our hands on this Panasonic bread maker from ao.com and discovered we could make things other than bread with it (like seriously guys you can even make jam!!) 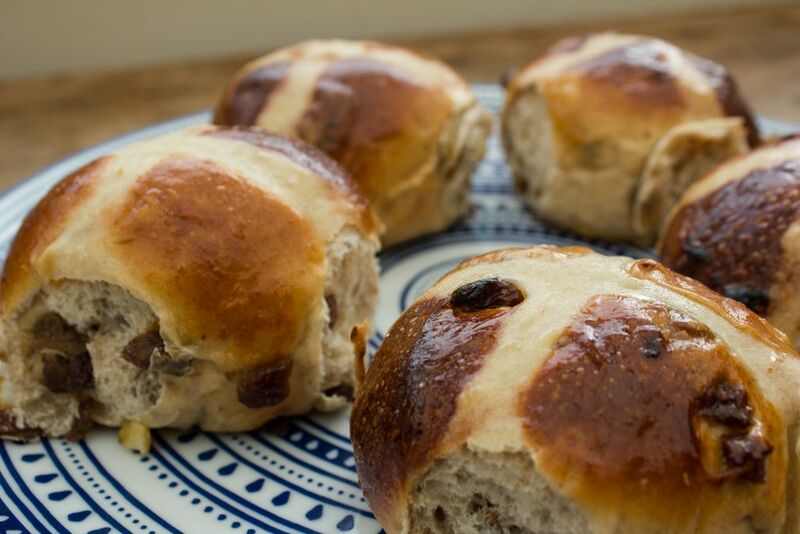 we figured let’s make everyone’s life easier over Easter and post a recipe that means hot cross buns without any hassle!! 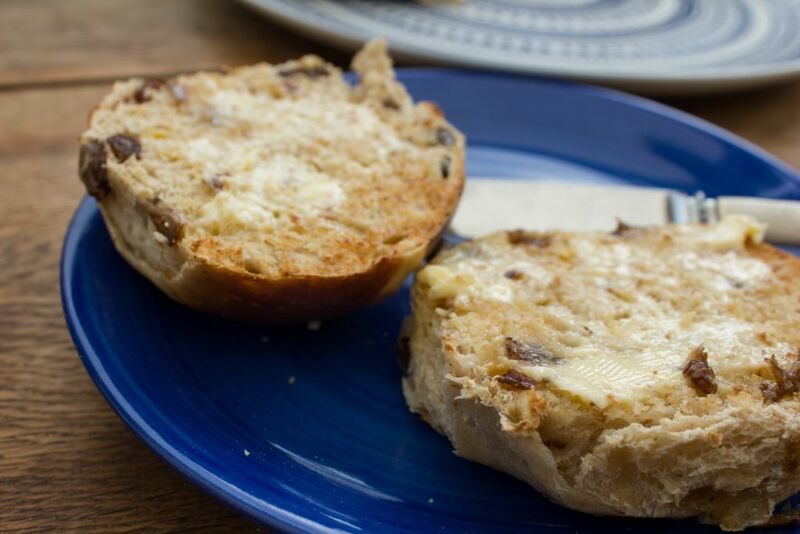 We like to pretend we’re cool and sophisticated bakers but got very over excited when we discovered the bread maker had a compartment to add in extra ingredients (in this case the dried fruit). 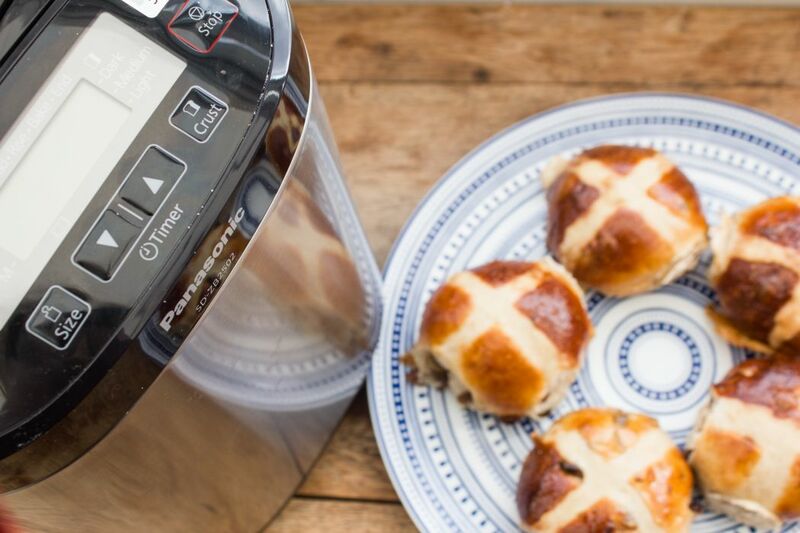 So all you have to do is put all of the dough ingredients apart from the yeast in the main pan, the yeast in the little yeast dispenser and the dried fruit in the extra ingredients compartment, press a button and you’re golden! 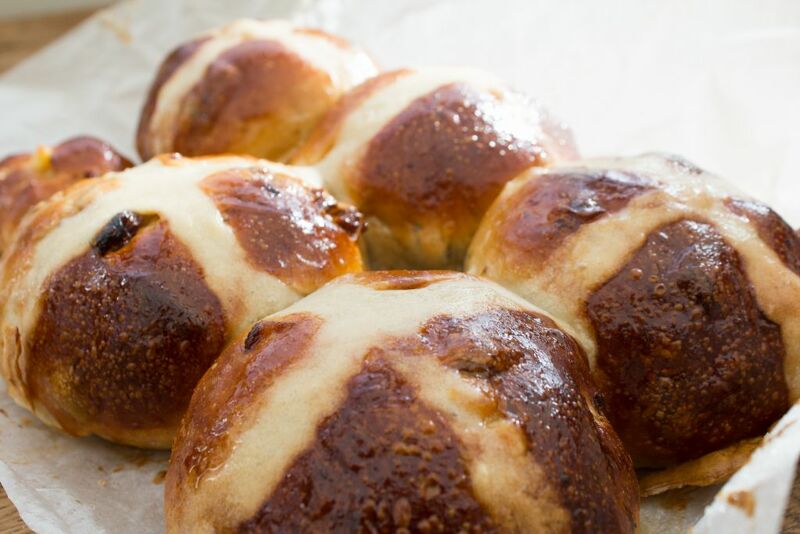 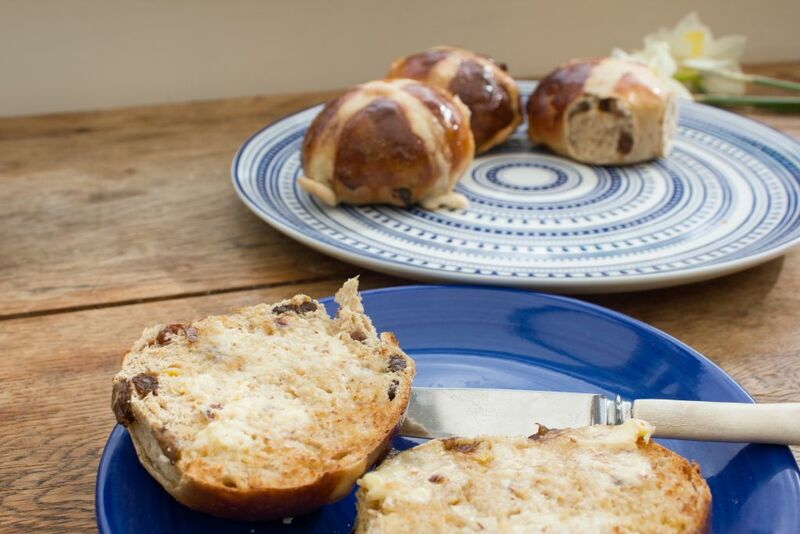 The hot cross buns are a spiced and enriched dough studded with fruits, make sure to pipe on your crosses before you bake and then brush with syrup when they come out the oven so they’re deliciously shiny and sticky. 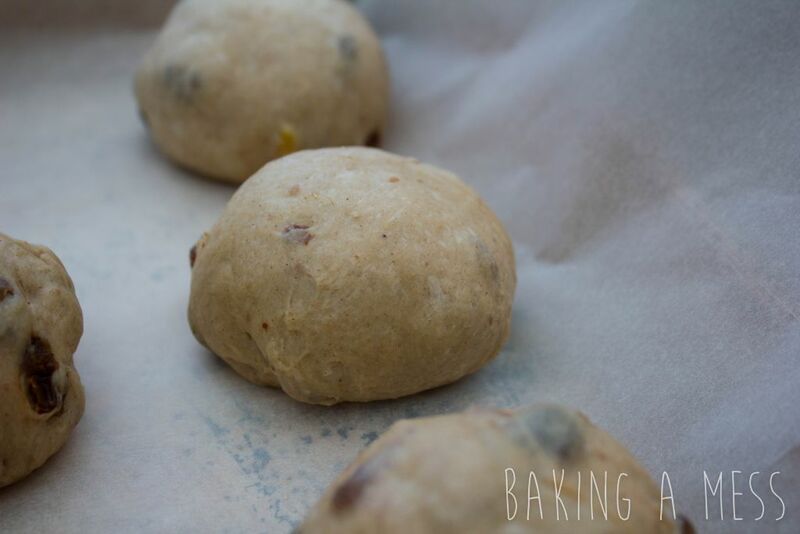 Obviously this recipe can be used with any bread maker just follow the instructions for the one you have! 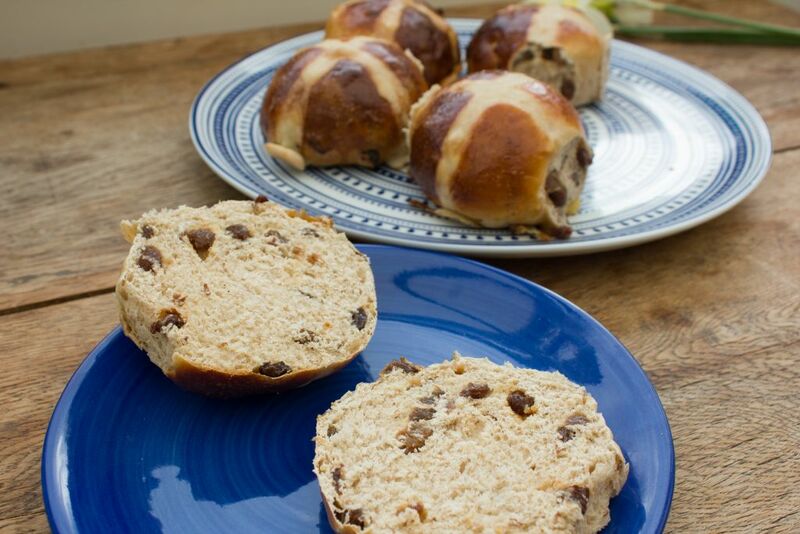 We used the menu 17 setting which was for a basic raison dough as it would add in the extra ingredients and then we took it out to shape into 10 individual buns and bake in the oven, although you could also make a hot cross loaf to slice up and toast!